MOSCOW (Sputnik) - Pyongyang calls for abandoning military exercises involving foreign forces on the Korean Peninsula, North Korean Ambassador to Russia Kim Hyun Joong said Tuesday. "In order to eliminate military hostility between North and South Koreas in a fundamental way and turn the Korean Peninsula into a lasting and eternal peace zone, it is necessary to abandon conducting military exercises with foreign forces because North and South Korea agreed to follow the path of peace and prosperity," Joong said at a dinner marking the occasion of the New Year at the Embassy of the Democratic People's Republic of Korea in Moscow. 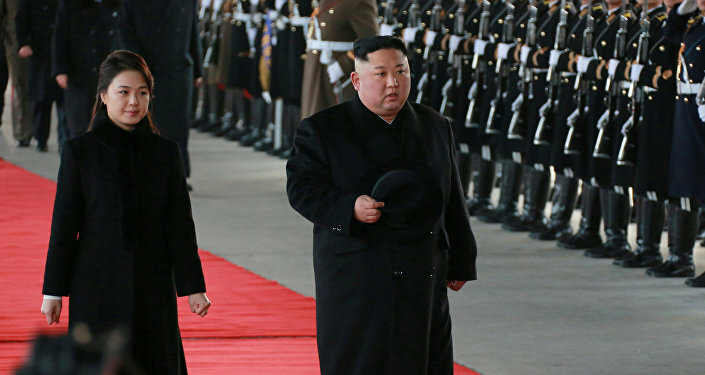 He further added that North Korean leader Kim Jong Un in his New Year's speech declared his readiness to meet with US President Donald Trump once again.